The “Holy Grail” of prairie dog shooting is dispatching a dog at ultra-long-range — the farther the better. 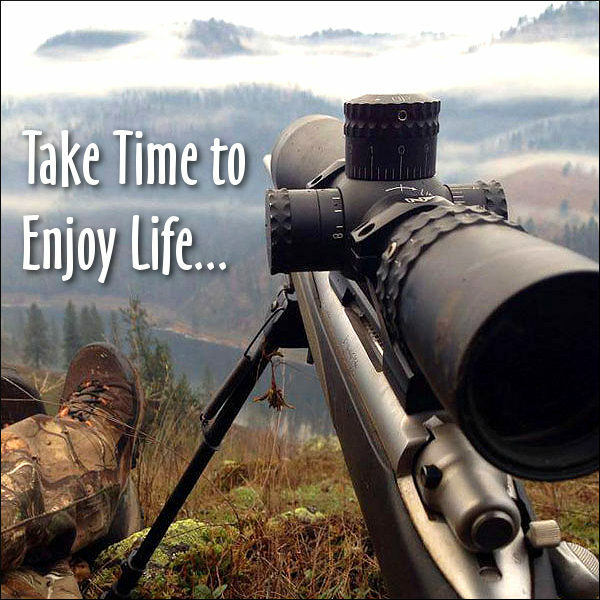 Here we recount the quest of Forum member VolDoc to nail a Prairie Dog at 1000+ yards with a Savage .20-caliber rifle. If you’re a fan of the “Terrific 20s”, or have an interest in ultra-long-range varminting, you’ll enjoy this story. VolDoc, a dentist by trade, is a seasoned Prairie Dog Hunter who has made many trips to the P-Dog fields in Colorado with his hunting buddies. But until recently he had never managed to nail a P-Dog at 1000 yards with a .20-caliber rifle. Nor, as far as we can determine, had any one else. 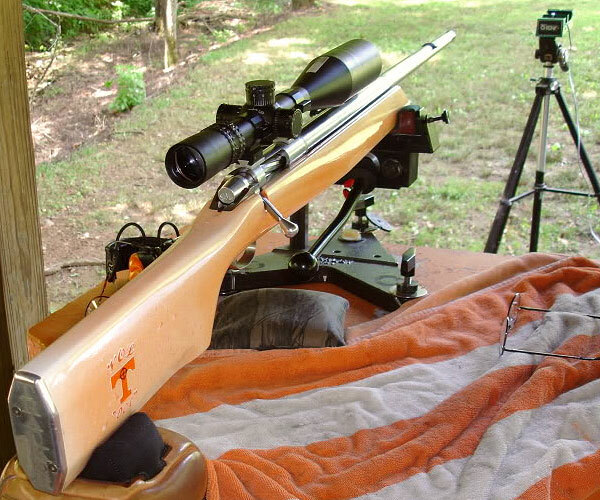 But VolDoc did it — accomplishing a verified Prairie Dog kill at 1032 yards, possibly the longest recorded with a .20-Caliber rifle. Shooting Prairie Dogs at extreme long range takes highly specialized equipment. 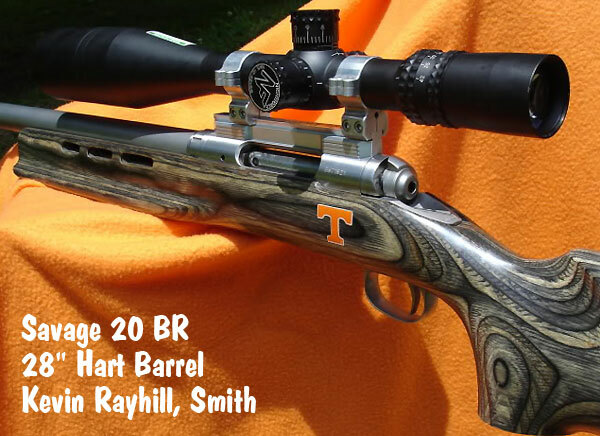 To make his 1032-yard kill shot, VolDoc used a modified Dual-Port Savage chambered in 20 BR. The stock was geometrically-uniformed and pillar-bedded by smith Kevin Rayhill, who fitted a 28″ Hart barrel with a Rayhill muzzle brake. VolDoc loaded his 20BR with 55gr Berger BT LR Varmint bullets (0.381 G1 BC) pushed by a stout charge of Hodgdon Varget. “We were out on the Colorado prairie at daylight and the conditions were perfect. The sunrise was at my back and we had about a 10 mph tailwind. I looked through my Leica Geovid Rangefinder Binos and the Prairie Dogs were out for breakfast. I quickly ranged the targets and found a group at about 1,050 yards. 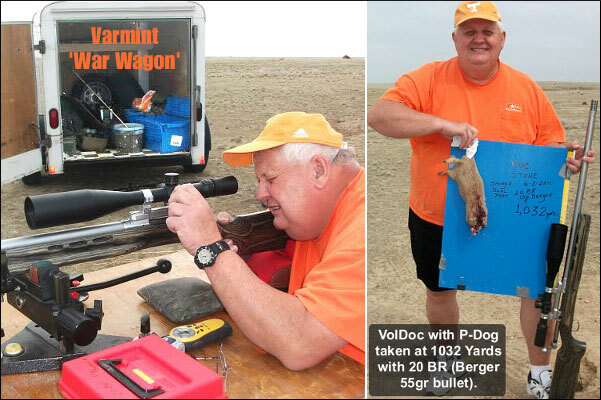 In our report on VolDoc’s successful 1K Prairie Dog quest, we spotlighted two of VolDoc’s other accurate varmint guns. 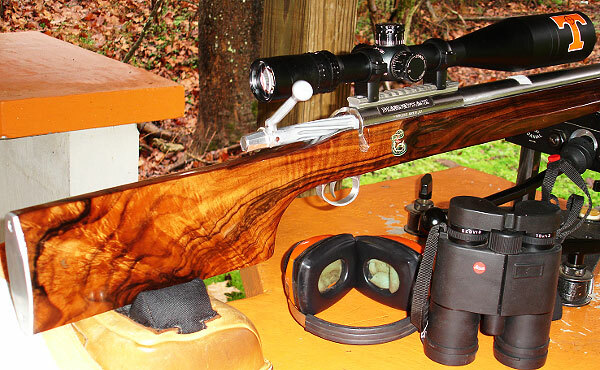 First, fans of fine wood will love VolDoc’s switch-barrel, drop-port Stiller Diamondback rifle. The wood on this gun is stunning. The custom stock was crafted from 40-year-old English Walnut to match the profile of a Shehane ST-1000. The rifle has three barrels with three different chamberings: 6BR Brux 1:8″-twist HV; 6BRX Krieger 1:8″-twist HV, and 6mm Dasher Krieger 1:8.5″-twist fluted straight contour (no taper). The scope is a Nightforce 12-42x56mm, with 2DD reticle. 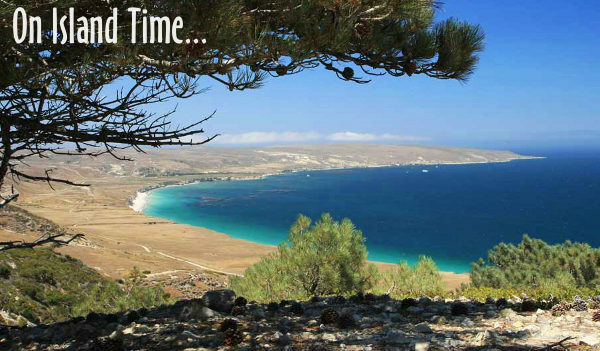 Share the post "Tiny Twenty Punches P-Dog at 1032 Yards — Voldoc’s Story"